What exactly is yoga? Do you have to be a vegetarian with rock hard abs to do it? Here’s our easy guide to what yoga is, what it isn’t and who’s doing it. Yoga is not about the way you look. 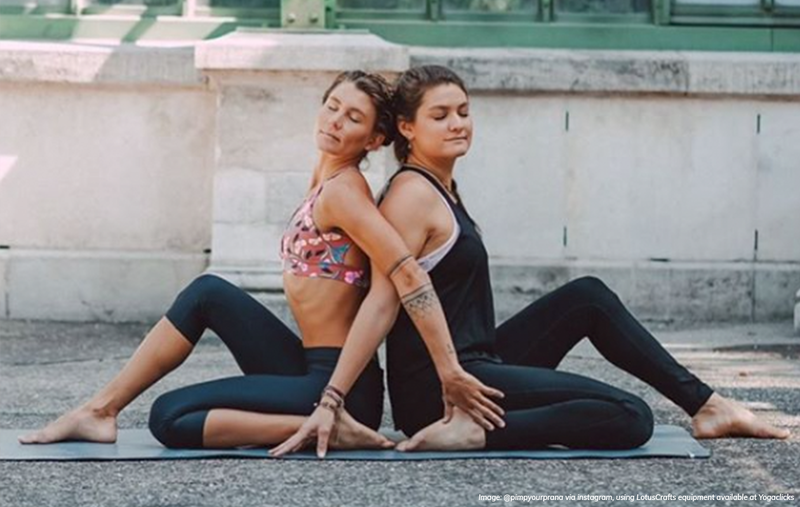 Although Instagram may be full of stunning, fit young yogis rocking the newest Lululemon yoga pants – yoga isn’t about appearances. Nor is yoga reserved for vegans in their twenties, or health food bloggers. Yoga is for everyone, of every shape and size, gender bias and religion. The word yoga comes from the Sanskrit word ‘yuj’, meaning ‘to bind’, ‘to control’, or ‘to yoke.’ This slightly awkward translation is most often interpreted as ‘union’. Yoga’s aim is two fold. Unifying the mind, body and spirit of the individual, and unifying that individual with the collective consciousness. It’s about physical and mental wellbeing, as well as spiritual contentment through a sense of connection to others. The classic definition of yoga is stated in The Yoga Sutras of Patanjali. Patanjali defines yoga as 'chitta vritti nirodhah' – 'yoga is the cessation of the whirring mind' (i.e. that the state of yoga is a still mind) remains, to this day, one of the go-to definitions of yoga. There are two modern definitions of yoga I have always loved. The first is that ‘yoga is the discipline of happiness.’ I like this definition because it resonates with what yoga is for me. If I maintain the discipline of practicing it daily I am happier than if I don’t. For me yoga is about raising myself up and beyond the ceaseless chattering of my monkey mind, and increasing the moments of seeing clearly and choosing wisely. Even if I only manage a few of these moments a day it’s enough to find a sense of perspective and a feeling of contentment with what is. The second is that ‘yoga is the architecture of peace’. This is a yoga definition from the photographer Michael O’Neill, who goes on to describe it as “a series of postures that bring the practitioner closer to touching the infinite.” His film and book of the same name is a great introduction to the roots of yoga and its most influential personalities – from Sting and New York Ashtanga teacher Eddie Stern, to Indian yoga legends B. K. S. Iyengar, Shri K. Pattabhi Jois, and T. K. V. Desikachar. A brilliant read and watch, whether you are a yoga beginner or an advanced practitioner. In either case, yoga is the method, or the discipline. Peace and happiness are the result. We also know where yoga began - in India. The earliest recorded systematised teachings were compiled in 200 CE in the Yoga Sutras of Patanjali. The sutras, meaning threads, are the sage Patanjali’s collected wisdom on the theory and practice of yoga. I have collated over 300 clinical studies on the physical, mental and spiritual effects of yoga. From this I found evidence that yoga works in nearly 250 different ways! From reducing stress to improving your cognitive function, from improving your flexibility to helping with aches and pains in the lower back. All that bending and stretching also builds muscle strength and, depending on which type of yoga you practice, it can increase your stamina too. See our post on the 246 Benefits of Yoga for more. Different yoga poses work in different ways. Standing poses build strength, twisting poses are good for wringing out the toxins, and lying down poses are especially calming – helping to aid digestion, quiet the mind and reduce anxiety. A balanced class will give you a bit of everything, but you can also look out for classes that focus on a particular benefit. Online classes are often great for this because they can be filtered by benefit and body part. Yoga also teaches us perspective – to remember to breathe, to think of the bigger picture and to trust in the innate harmony of the universe – no wonder that it’s also been proven to help us sleep. Here’s the science bit… According to the clinical studies that I collated, yoga’s principle benefit is in activating the Parasympathetic Nervous System (PNS). The PNS lowers heart rate and blood pressure, helping us to relax. This is why stress related disorders like PTSD, or mental health issues like depression, can be corrected by yoga. It’s the antidote to an overactive Sympathetic Nervous System (SNS), which deals with crisis, and activates the fight or flight function. This is the state most of us live in most of the time so every time you roll out your yoga mat, you’re doing your nervous system a big favour. Put simply - ‘will yoga change my body?’ Yes, for the better! Some people might have trendier yoga mats, and some might have a hefty collection of Namaste t-shirts, but the truth is, no one owns yoga. Yoga is for everyone, young and old, and there’s no better time to start than now! Remember, even the most advanced yogis – the ones balancing their entire body weight on one finger – started somewhere, they weren’t born in yoga pants! There are a vast range of yoga classes out there for you to try, or you could try practicing at home – just make sure you haven’t eaten too much beforehand as yoga and a bloated stomach do not mix. I recommend Yoga with Adriene on YouTube if you want to watch a lovely, accessible teacher breaking it all down for free. She also has a Beginner’s Yoga series that is brilliant as an introduction. 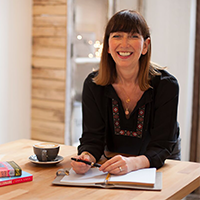 If you like what you see it’s a good idea to get yourself to a real life class; nothing beats a teacher seeing what you’re doing and giving you hands on, personalised help. Where is yoga most popular in the world? It might be no surprise to you that yoga is still most popular in India, its birthplace. There, upwards of half a billion people practice yoga daily – not necessarily leaping up and down a yoga mat for two hours a day but setting aside 20 minutes every morning for some basic breathing exercises and simple stretches. Indian Prime Minister Narendra Modi created International Yoga Day in 2015 as a way of promoting yoga’s role in building harmony between man and nature. The event has grown each year and last year 192 countries took part in the June 21 celebration, proving that yoga is for everyone, and that yoga is now more popular than ever. There are yoga events in the most unlikely places. Like the idea of practicing the Lotus Position next to a Michelangelo? Head to the National Gallery. Want to practice yoga at the Royal Opera House with a live classical quartet? No problem! Check out the events pages of our national museums and galleries, or better yet, ask you local museum to put on a yoga class! What yoga should I start with? Despite what you may have seen on the internet, you don’t have to eat avocado and have a messy top knot to be a yogi. There are over 80 different types of yoga, many of which have classes specifically for beginners, with slower paced movement and easier yoga poses. There are plenty of other types of yoga if Hatha is not for you. from the dynamic, fast paced Ashtanga Yoga, Vinyasa Flow Yoga and Hot Yoga to the relaxing Restorative Yoga, Yin Yoga and Yoga Nidra. Check out our Style Quiz to find the style that's right for you.